Grp78/BiP was identified in the late 1970s in connection with further chaperones as intracellular polypeptide induced by glucose deprivation 21-23. 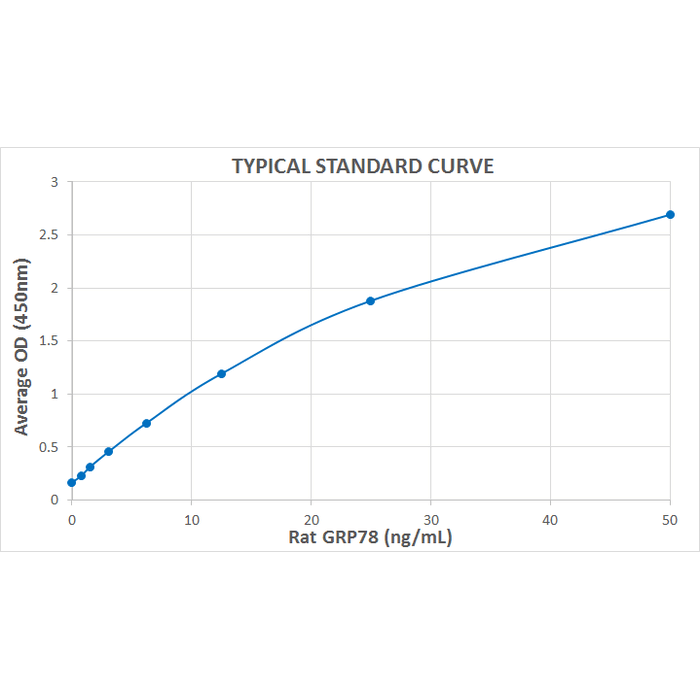 The expression of Grp78/BiP varies with tissue type, developmental stage and stress conditions. While the expression of Grp78/BiP in adult tissues is usually low under non-stress conditions, tumor cells over-express Grp78/BiP on the plasma membrane. Cancer cells are characterized by an increased glucose consumption due to an intensified glycolysis accompanied by an enhanced proliferation rate of the cells. The resulting tumor microenvironment features hypoxia, acidosis, impaired blood flow and glucose depletion which give rise to the aggregation of misfolded polypeptides within the ER, followed by the induction of the UPR 123, 197. The UPR displays both, pro-survival and pro-apoptosis pathways. Evidence has emerged to demonstrate that cancer cells escape from apoptosis by differently stimulating the UPR 198, 199. However, Grp78/BiP not only plays a crucial role in tumor growth and survival but also in angiogenesis, metastasis and chemoresistance. In various malignancies, including melanoma 200, breast and prostate cancer 201-203, pancreatic and cervical cancer 204, 205 as well as colorectal and gastric cancer (GC) 206, 207, an up-regulated expression of Grp78/BiP was found to correlate with tumor resistance, greater risk for cancer recurrence, and poor prognosis. Several investigations revealed that up-regulated Grp78/BiP levels may predict greater response to adjuvant therapy in breast cancer patients 201. A significantly up-regulated expression of Grp78/BiP was also noted in malignant glioma and glioma cell lines 199, correlating with tumor grade and poor survival 208. 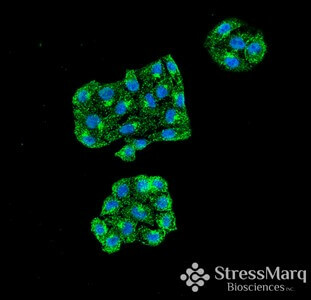 As outlined before, cancer cells and cells exposed to ER stress express Grp78/BiP on the cell membrane. This membrane-associated Grp78/BiP has been found to serve as a receptor for numerous mediators up-regulated in carcinomas and promoting tumor cell proliferation after receptor ligation. 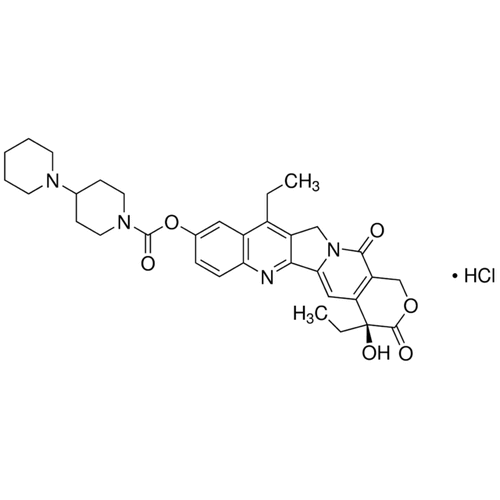 These ligands include the proteinase inhibitor α2-macroglobulin (α2M) 136 as well as the oncoprotein Cripto 209. Studies by Kelber and collaborators clearly demonstrated that binding of Cripto to membrane-associated Grp78/BiP promotes the tumorigenic phenotype of human tumor cells by blocking TGF-β signaling 209. Moreover, blockage of the cell surface Cripto/Grp78 complex has been shown to inhibit oncogenic Cripto signaling via MAPK/PI3K and Smad-2/-3 pathways 209. These findings render Grp78/BiP a promising target for diagnostics and therapeutic interventions. Grp78/BiP not only impacts growth and survival of tumor cells, but also promotes growth and confers chemoresistance to tumor-associated endothelial cells (TuBECs) asTuBECs showed elevated Grp78/BiP expression compared to blood vessel cells from normal tissues (BECs) 210. The same study clearly demonstrated that knockdown of Grp78/BiP sensitized TuBECs to chemotherapy while, in contrast, over-expression of Grp78/BiP in BECs rendered these cells resistant to chemotherapy 210. The group of Michael Steurer recently described the ability of various solid tumor cells to secrete Grp78/BiP into the tumor microenvironment and the capacity of recombinant Grp78/BiP to confer chemoresistance to endothelial cells 211, indicative for implications of the chaperone outside the ER. As discussed above, Grp78/BiP is crucially implicated in promoting tumor cell groth and conferring chemoresistance to a great variety of cancer cells. Data raised by the group of Robert Clarke provided evidence for a novel homeostatic function of Grp78/BiP in mediating lipid metabolism in tumors as targeting Grp78/BiP was found to specifically inhibit de novo fatty acid synthesis in breast cancer cells and to diminish mitochondrial β-oxidation through CPT1A inhibition 5. The novel Grp78/BiP isoform, Grp78va, also plays a critical role in carcinogenesis. Grp78va, which is up-regulated in leukemic cells and leukemia patient samples, has been shown to improve the survival of cancer cells in response to ER stress via regulating the cytosolic unfolding protein response (UPR) 59. A growing body of evidence indicates the central role of Grp78/BiP in macroautophagy as it contributes to the removal of cytosolic misfolded proteins. Studies by Abdel Malek and colleagues recently revealed that Grp78/BiP enhances macroautophagy and improves chemoresistance in multiple myeloma via inactivation of NF-κB 212. Most neurodegenerative disorders such as Alzheimer’s disease (AD), Parkinson’s disease (PD) and Huntington’s disease as well as amyotrophic lateral sclerosis (ALS), progressive retinal degeneration and prion-related diseases are featured by the activation of the unfolded protein response (UPR) and altered Grp78/BiP expression leading to the accumulation of aggregated or misfolded polypeptides 130, 213-215. During ageing, ER-resident chaperones such as Grp78/BiP and protein disulfide isomerase (PDI) have been noted as being less responsive to ER stress, indicating a direct contribution to the age-dependent accumulation of misfolded proteins 216. In this regard, decreasing levels of Grp78/BiP could be seen with age and during the development of neurodegeneration 217, 218. From these observations one can hypothesize that the lifelong exposure of key molecules to oxidation might be causative for the deprivation of ER functions, as occurring in age-related disorders 216, 219. According to Brown and Naidoo, functional Grp78/BiP deficiency might thus be considered as being a predisposing factor for age-related diseases 220. Further critical factors in neurodegeneration and ageing comprise defects in macroautophagy 221, 222, as evidenced by the capability of an enforced macroautophagy to delay the progression of neurodegenerative disorders 223. In contrast, the loss of macroautophagy in the central nervous system has been shown to cause neurodegeneration in mice 224. Alzheimer’s disease (AD) is characterized by the accumulation of amyloid-β protein (Aβ) in the patients’ neurons at an early stage of the disease. Grp78/BiP mediates the correct folding of the amyloid beta precursor protein (APP) and affects APP maturation and processing 225, 226. ER stress-induced up-regulation of Grp78/BiP was found to stimulate Grp78/BiP binding to APP, thereby facilitating its retention in the early secretory compartments which culminates in the reduction of Aβ formation 225. It is interesting to note that Grp78/BiP expression is up-regulated in AD temporal cortex and hippocampus compared to non-demented controls, and did not co-localize with neurofibrillary tangles, implying a pivotal role for the UPR in the initial phase of AD neurodegeneration 227. However, the implication of Grp78/BiP up-regulation in AD pathogenesis is controversily discussed in the literature as Grp78/BiP levels found in in vivo models and post-mortem human AD tissues are considerably lower than those found in wildtype animals under ER stress 228. In this context, the plasma proteinase inhibitor α2-macroglobulin (α2M), which was identified as an interaction partner of membrane-bound Grp78/BiP, has been determined to co-localize with plaques in AD and to protect neuroblastoma cells from Aβ toxicity by promoting Aβ up-take into macrophages 229. In summary, several lines of evidence suggest that Grp78/BiP up-regulation conveys neuroprotective effects in AD, such as prevention of ER stress-induced hyperphosphorylation of Tau 230, protection against lipotoxicity derived from lipid peroxidation and ROS generation 5, 229 as well as down-regulation of Ca2+-dependent synthesis of oligomeric Aβ 231. It is well known that dysregulation of Ca2+ levels in ageing brains and in neurodegenerative disorders represents a critical factor contributing to cellular dysfunction and cell death. Recent evidence suggests the contribution of Grp78/BiP to the pathogenesis of Parkinson’s disease (PD). One characteristic feature of PD is the presence of pathological α-synuclein (α-Syn) deposits in the brain (so-called Lewy bodies). As demonstrated by Gorbatyuk and co-workers, α-Syn triggers the induction of ER stress and initiates the UPR in dopaminergic neurons 232. The authors’ data also clearly revealed that up-regulation of Grp78/BiP reduced α-Syn neurotoxicity via attenuating ER stress and pro-apoptotic pathways 232. Additionally, up-regulation of Grp78/BiP was identified as being neuroprotective by down-regulating the expression of UPR-affected target genes and blocking the depletion of dopaminergic neurons 59. Various studies revealed the contribution of ER stress to a variety of retinal neurodegenerative conditions including age-related macular degeneration (AMD) 233, 234, diabetic retinopathy 235, glaucoma 236, and Retinitis pigmentosa (RP) 237. RP comprises a group of neurodegenerative diseases characterized by the death of rod and cone photoreceptors, progressively leading to partial or complete blindness. In distinct mouse models of RP, an up-regulation of HSPA5 mRNA and protein could be observed 238-241. The up-regulation of HSPA5 mRNA expression obviously occurs in two phases of the UPR. While during the early stages of UPR ER homeostasis is renewed in conjunction with the blockage of ER stress, an ongoing ER stress during the late stages of UPR prevents reconstitution of the ER homeostasis 240. Nakanishi and colleagues also reported on a concomitant up-regulation of HSPA5 and CHOP mRNA in light-exposed retinas, culminating in photoreceptor cell death. From these findings it can be concluded that light-induced excessive ER stress leads to CHOP‐dependent photoreceptor apoptosis, a critical factor in light‐induced retinal damage. Recent evidence not only suggests a critical role of Grp78/BiP in the pathogenesis of ALS but also in that of prion-related diseases as well as neurodegenerative processes after ischemia or trauma to the nervous system (summarized by Caty Casas, 2017 130 and Maharjan and Saxena, 2016) 213. It is also becoming evident that sleep depriviation activates ER stress responses with concomitant up-regulation of Grp78/BiP and activation of the PERK pathway in various animal brains (summarized by Brown and Naidoo, 2012) 220. More recently, the group of Jiesheng Kang detected increased plasma levels of Grp78/BiP in patients with obstructive sleep apnea (OSA) under ER stress 242. Likewise, sleep deprivation during social isolation was shown to induce ER stress and the activation of the UPR as indicated by an up-regulation of Grp78/BiP levels, increased phosphorylation of the translation initiation factor eIF-2α, and increased splicing of Xbp-1 in the fruitfly D. melanogaster 243. Evidence is emerging that Grp78/BiP serves as a receptor or co-receptor for viral entry into host cells 244-246. Viral infections induce profound ER stress followed by an active UPR during infection. Grp78/BiP, the major modulator of the UPR, plays a central role during infection since its expression is up-regulated by most viruses studied to date. Viruses differ markedly in their capacity to modulate the UPR. Whereas numerous RNA and DNA viruses (e.g. Dengue virus, Hepatitis B virus) are able to activate all three arms of the UPR, other viruses have been shown to activate two arms (e.g. Sindbis virus, Influenza A virus) or just one arm of the UPR (e.g. lymphocytic choriomeningitis virus; LCMV). As outlined above, the kind of modulation of the UPR obviously depends on the virus type and the type of UPR blockage. For instance, viruses can use pathways to augment their replication by activating the ATF-6 247 or IRE-1 248 signaling cascade. On the other hand, several examples exist demonstrating that activation of the UPR (e.g. via PERK) restricts viral replication 249, 250. From these findings one can conclude that the PERK pathway promotes the host’s defense against viral infection whereas the ATF-6 and IRE-1 pathways rather support viral replication 170. New evidence has emerged to demonstrate that bacteria are able to activate single UPR pathways (for a review see Smith, 2018) 170. 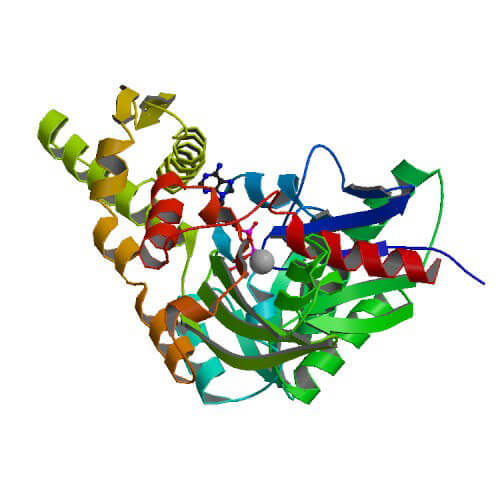 It has been shown previously that bacterial toxins such as the AB5 subtilase cytotoxin (SubAB) produced by Shiga endotoxic E. coli degrades Grp78/BiP and consequently activates all three arms of the UPR 251, 252. Various Brucella type IV secretion system substrates have been reported to assemble in the ER and to induce ER stress 253. One of them was found to bind to Grp78/BiP and to activate the IRE-1 pathway of the UPR 254. Apart from its UPR activating capacity, Brucella infections cause a striking structural re-organization of the ER 255. In the case of B. melitensis, activation of the UPR helps to augment bacterial replication 255. The group of Afshin Samali convincingly emphasized the capacity of the UPR to induce macroautophagy which supplies bacteria with increased amounts of nutrients 256. UPR-mediated macroautophagy was identified as an essential parameter in the intracellular Brucella lifecycle and for cell-to-cell spreading 257. The UPR in the setting of autoimmunity and autoimmune diseases has been reviewed recently in detail by Judith Smith (2018) 170 and will be discussed in parts only. Aberrant cytokine production is a central player in the pathogenesis of autoimmune and autoinflammatory diseases, including atheroscerosis, COPA syndrome, TNF-receptor-I-associated periodic fever syndrome (TRAPS), type 1 diabetes, myositis, inflammatory bowel disease (IBD) and spondyloarthritis (Figure 7). Autoimmune interstitial lung, joint, and kidney disease (AILJK), also known as COPA syndrome due to heterozygous missense mutations in the COPA gene, is a recently identified autoimmune disorder affecting the function of pulmonary, renal, and connective tissues 258. The COPA gene encodes the alpha subunit of the heptameric coat protein complex I (COPI), required for the retrograde protein transit from the Golgi to the ER 258. Lung biopsy samples from patients with mutant COPA showed signs of ER stress and up-regulated expression of Grp78/BiP, ATF-4 and CHOP compared to controls. ER stress was also found to enhance the mRNA levels encoding IL-1β, IL-6, IL-12p40, and IL-23. These cytokines have been noted previously to prime and expand Th17 cells 259. Consistent with this notion, patients with mutant COPA demonstrated a significant expansion of Th17 cells, an effector T cell population implicated in autoimmunity 258. The analysis of the peripheral blood from COPA patients revealed an activation of the type 1 interferon pathway, implying a possible contribution of this pathway to disease pathogenesis and thereby opening the opportunity for targeted therapies 260. Evidence for a type I IFN-regulated gene signature can also be found in the peripheral blood of myositis patients 261 as well as in systemic lupus erythematosus (SLE), Sjogren’s disease and systemic sclerosis 262. Evidence for an ER stress-induced UPR activation is given by the up-regulation of Grp78/BiP in myositis 263 and systemic sclerosis 264. One characteristic feature of systemic sclerosis is the over-expression of TGF-β which is known to stimulate ER stress through up-regulation of Grp78/BiP in lung fibroblasts 265, 266. However, peripheral blood mononuclear cells (PBMCs) from SLE patients harbored enhanced Xbp-1 but diminished IRE-1, PERK, and CHOP expression levels 267. Lee et al. observed aberrant macroautophagy as a result of ER stress and decreased Grp78/BiP expression in T cells from SLE patients, suggesting a pivotal role in the pathogenesis of SLE 268. The pathogenesis of type 1 diabetes is also impacted by ER stress and the UPR. Studies using PERK-/- mice clearly revealed that the UPR is absolutely essential for the elementary function of the pancreas 269. In an animal model of type 1 diabetes (NOD mouse) and isolated islets of young type 1 diabetes patients, ER stress was found to coincide with an up-regulation of CHOP and a down-regulation of Xbp-1 and ATF-6 270, 271. It is of note that targeted disruption of the CHOP gene delayed ER stress-mediated diabetes onset in the Akita mouse model of type 1 diabetes 272. In the NOD mouse model, an association of IRE-1 with diabetes development could be demonstrated as targeting cytosolic c-Abl kinases that hyperactivate IRE-1α (and thus reduce IRE-1α enzymatic activity) reversed diabetes 273, 274. Inflammatory bowel disease (IBD) is is a chronic intestinal autoimmune disease, encompassing two distinct pathologies, ulcerative colitis (UC) and Crohn’s disease (CD). IBD results from numerous interactions between the environment, genetics and gut flora 275. The UPR component Xbp-1 has been shown to couple ER stress with intestinal inflammation and confers genetic risk for human IBD 276. Among others, IBD has been characterized by an up-regulation of ER stress marker molecules such as Grp78/BiP and Xbp-1 in ileal and colonic epithelial cells 276, 277. In line with this notion, aberrant protein oligomerization in goblet cells has been proved to contribute to the pathogenesis of UC 278. In an animal model of IBD, Xbp-1 deletion in intestinal epithelial cells resulted in spontaneous mild enteritis and increased susceptibility to dextran sodium sulfate (DSS)-induced colitis 278. Xbp-1 deficiency culminates in hyperactivation of IRE-1α while deficiency in the core autophagy effector ATG16L1 was associated with an enhanced expression of IRE-1, a phenomenon similar to the defective IRE-1 removal mediated by macroautophagy 279. In intestinal epithelial cells, hyperactivation of IRE-1α led to an increased NF-κB activation and subsequent production of pro-inflammatory cytokines 280. It is interesting to notice that the gastrointestinal tract expresses a specific IRE isoform, IRE-1β, which plays a protective role in DSS-induced colitis 188. According to Cosin-Roger et al., inflammatory mediators and metabolic alterations in the intestinal environment apparently contribute to ER stress responses consequently culminating in the UPR induction 188, 281. Notwithstanding the above, it is yet unclear if ER stress induces the intestinal inflammation or represents the consequence thereof. Spondyloarthritis (SPA) represents a class of related but phenotypically variable spondyloarthritides, including ankylosing spondylitis (aS; the archetype and most tested subtype) 282. The MHC I allele, HLA-B27, is strongly implicated in the pathogenesis of SPA 283, 284. HLA-B27 is prone to misfold in the ER during biogenesis 283. Misfolding of HLA-B27 occurs through the ERAD mechanism 285, and is associated with prolonged binding to Grp78/BiP 286. Although it has been shown previously that HLA-B27 misfolding is associated with UPR activation in bone marrow-derived macrophages from HLA-B27 transgenic rats with inflammatory disease (a model of human disease) 287, studies analyzing UPR in humans revealed contradictory results. While an up-regulation of Grp78/BiP could be observed in macrophages from peripheral joints of active ankylosing spondylitis (aS) 288, blood-derived macrophages from aS patients did not show any alteration in UPR target gene expression 289. Similarly, data raised by Neerinckx et al. did not provide evidence for a critical role of the UPR in synovium and blood of patients with aS 290. Further studies detected misfolding of HLA-B27 in the gut from aS patients with subclinical gut inflammation, and its association with activation of autophagy rather than a UPR 291. Owing to the above elucidation, HLA misfolding does not seem to be exclusively required for a UPR induction in the SPA pathogenesis. The UPR might thus be considered as being part of the evolving inflammatory process rather than being the driving force 170.